Baghdad, Russia’s ally in its fight against ISIS, wants Russia to have a bigger role in the anti-terrorist campaign in Iraq than the US and may soon officially request to start airstrikes on its soil, the chairman of Iraqi parliament’s defense committee said. "We might be forced to ask Russia to launch airstrikes in Iraq soon. I think in the upcoming few days or weeks Iraq will be forced to ask Russia to launch airstrikes and that depends on their success in Syria," said Hakim al-Zamili, Reuters reported. "We are seeking to see Russia having a bigger role in Iraq... Yes, definitely a bigger role than the Americans," Zamili said. The Iraqi official told RIA Novosti that the decision would depend on how efficient the Russian campaign in Syria proved to be. Russia last week started carrying out airstrikes in Syria against the positions of Islamic State, a terrorist group originating in Iraq, which also grew a power base in neighboring Syria and launched a surprise offensive in Iraq, taking control of large parts of both countries. Iraq is supporting the campaign by sharing intelligence with Russia through a communication center in Baghdad. Iran and Syria are also part of the center. 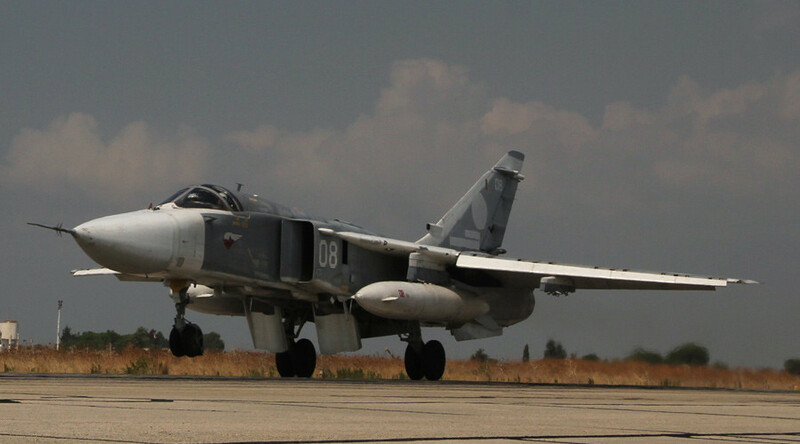 According to Zamili, the center’s role may be expanded to coordinate Russia’s future airstrikes in Iraq. Iraqi Prime Minister Haider al-Abadi told France 24 on Tuesday that his government would welcome Russian warplanes in Iraq. Valentina Matvienko, the speaker for the upper chamber of the Russian parliament, which has the constitutional authority to green-light military operations in foreign countries, said that Russia may consider such a request. Russia and the US are trying to settle their differences in stance on Syria by establishing intelligence exchanges that would prevent potential incidents in Syrian airspace. Moscow has also invited Washington to share its intelligence on ISIS targets, saying it would benefit the Russian effort. The Iraqi government, which has been a close ally of the US since its occupation by American troops in 2003, is part of the US-led anti-ISIS coalition. The US provides weapons, training and intelligence to the Iraqi troops fighting against ISIS militants, although so far the Iraqi army has failed to stop the jihadists from expanding their territory. Last week US Ambassador to NATO Douglas Lute voiced concerns about the possible deployment of Russian warplanes to Iraq, claiming it could complicate the situation. “Whether it is political, airspace, US-Iraqi operations, it is just dramatically more complex when you have the Russian presence there, especially since we don't actually know yet what it is they intend to do,” he told an audience at the Carnegie Council.